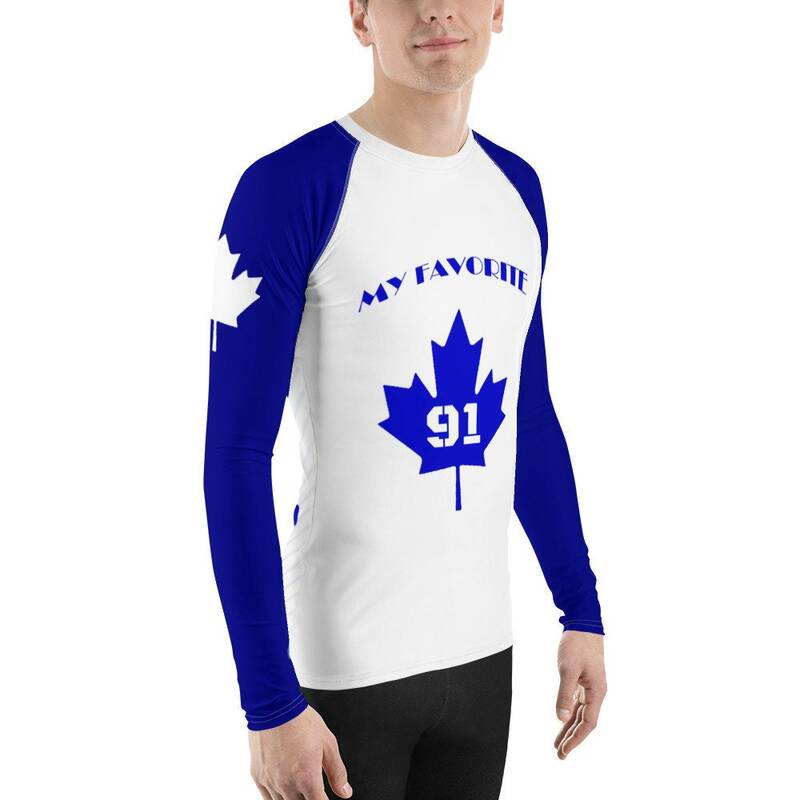 Don’t let sunburn, wind, sand, or other elements ruin your day! 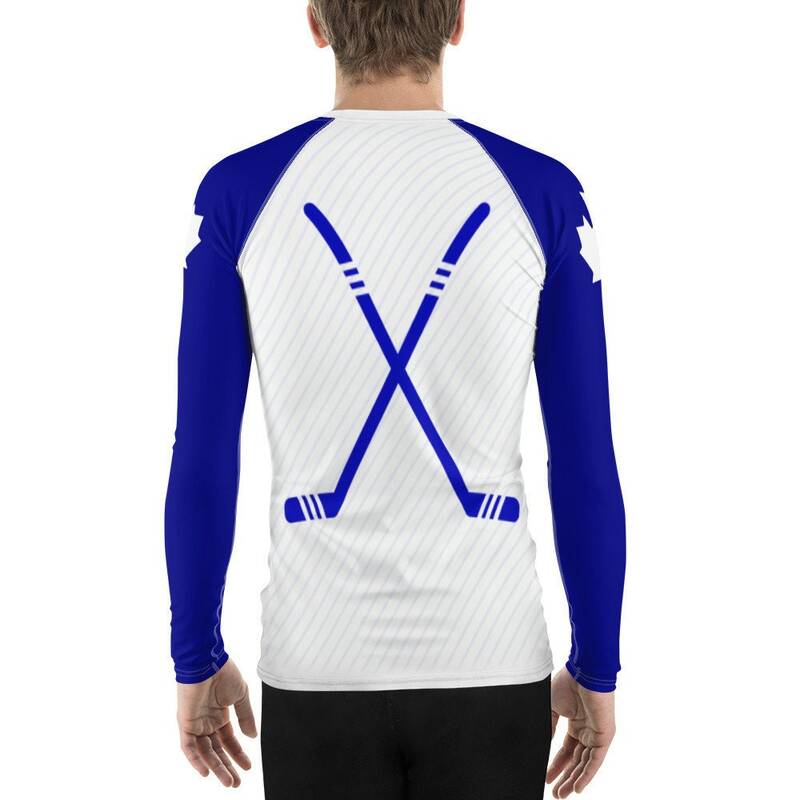 This smooth and versatile long-sleeve rash guard will protect you while you have fun doing sports. 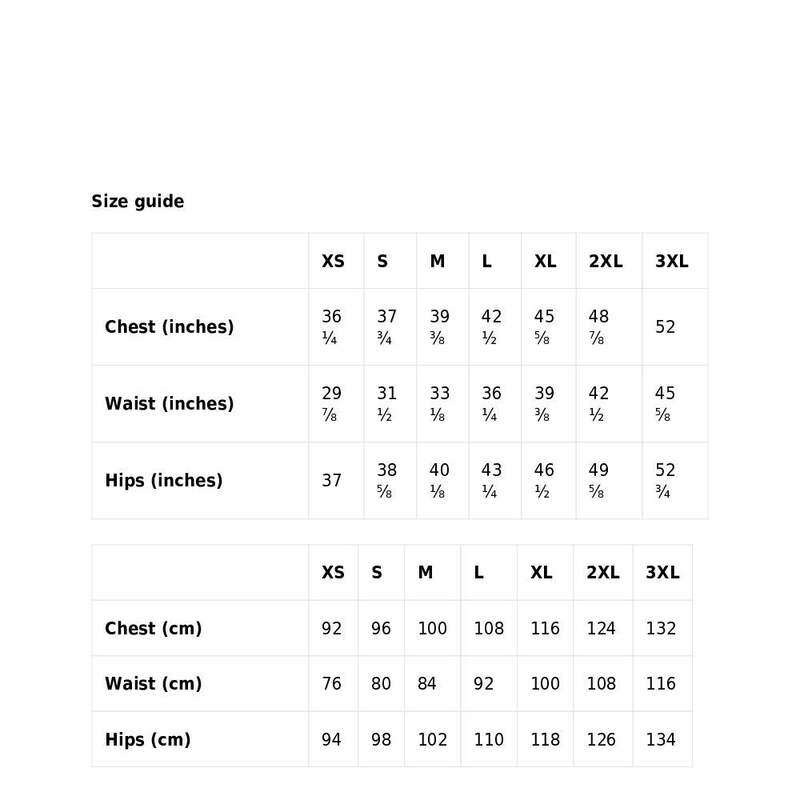 It is slim-fitted with flat ergonomic seams, and a bit longer than your casual tee for extra comfort and protection. 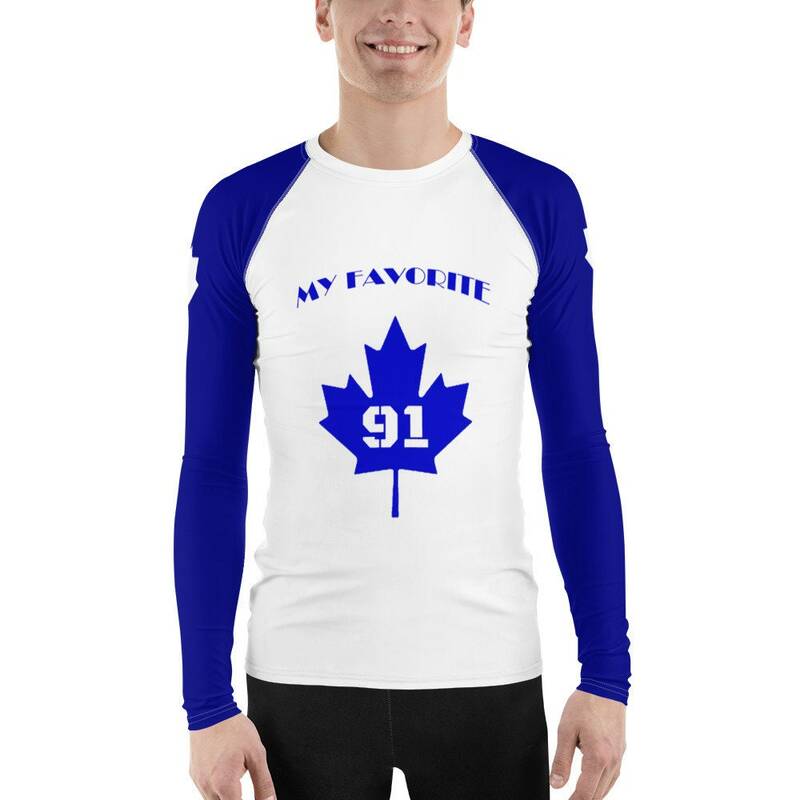 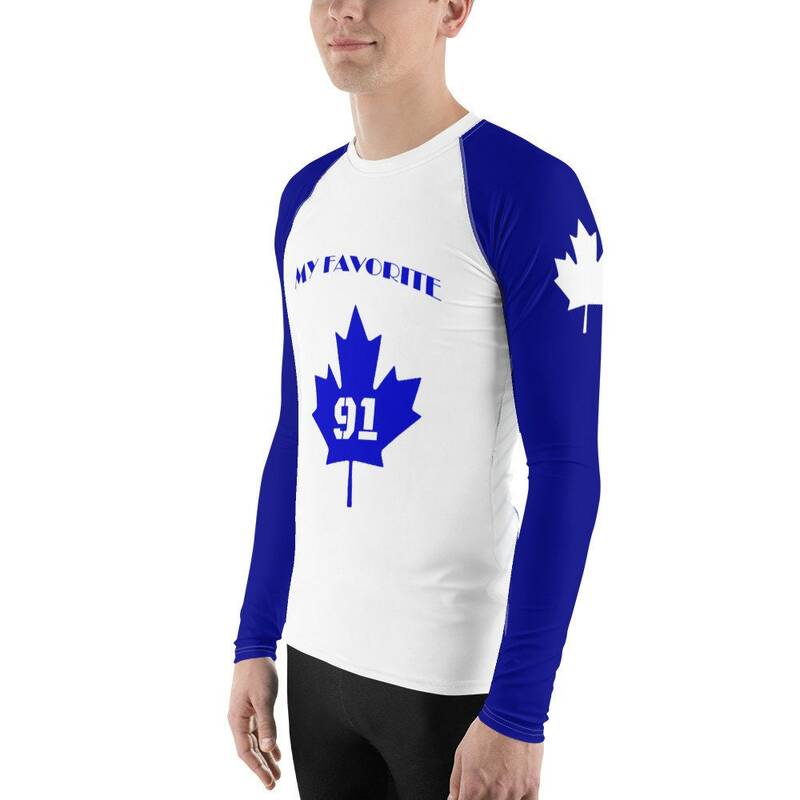 White and blue sports maple leaf 91.Look for the matching training pants www.turnback.store/listing/660003457/mens-leggings-blue-91.